Pro Style, Strokesavers conform to standards demanded by Tour Professionals. 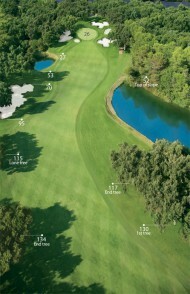 These include off-the-tee, Horizon Photography and Green Details. 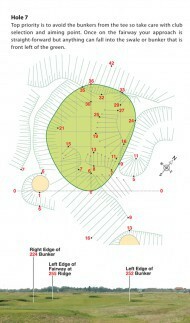 Interestingly, tournament venues throughout Europe and the Middle East are beginning to adopt these exceptional standards in preference to the usual memento books. 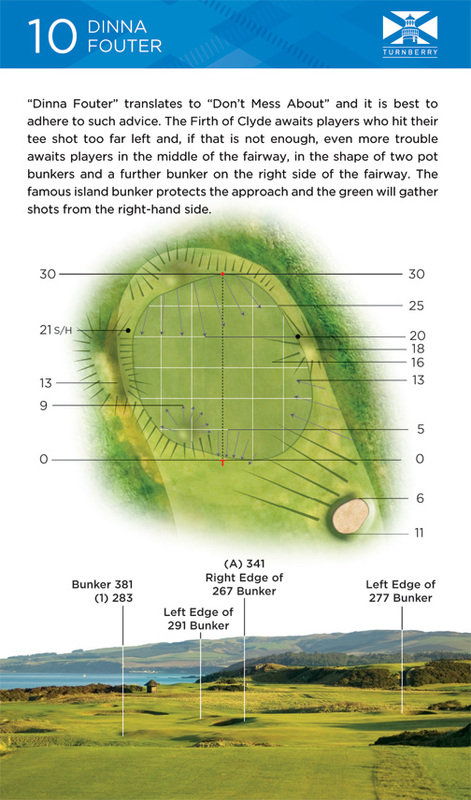 Green Detail – Read the greens like the Pro’s. 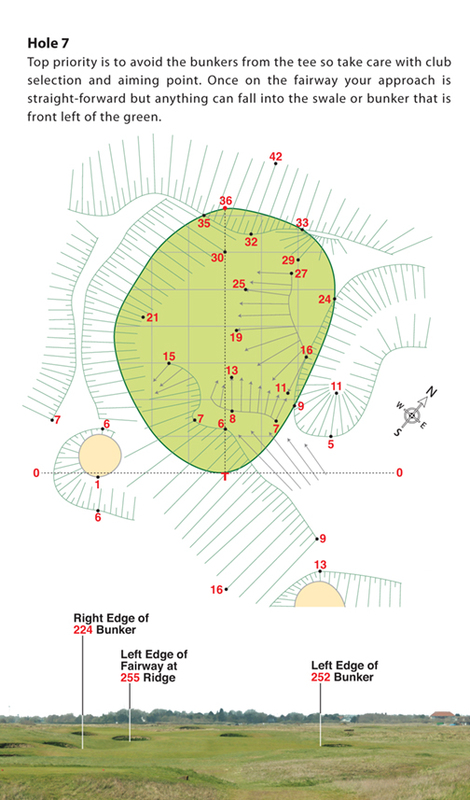 The plotting of slopes and hollows on greens is a meticulous process requiring 2-3 hours of survey per green. 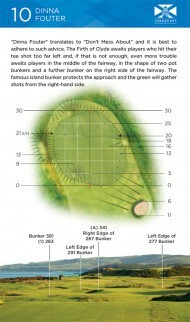 The finished graphics bisect the playing line, with measures to slopes, hollows and bunkers. 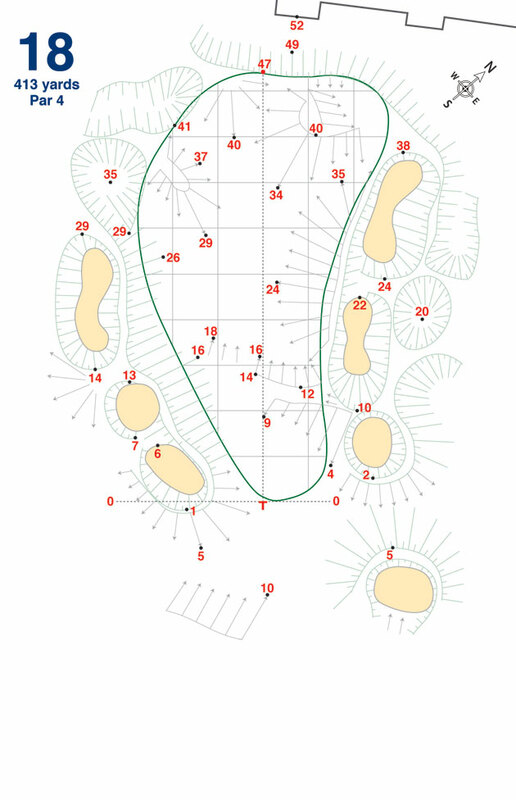 The green is divided into five yard/metre squares with slopes and hollows indicated with directional lines/arrows. Exceptional putting aids. 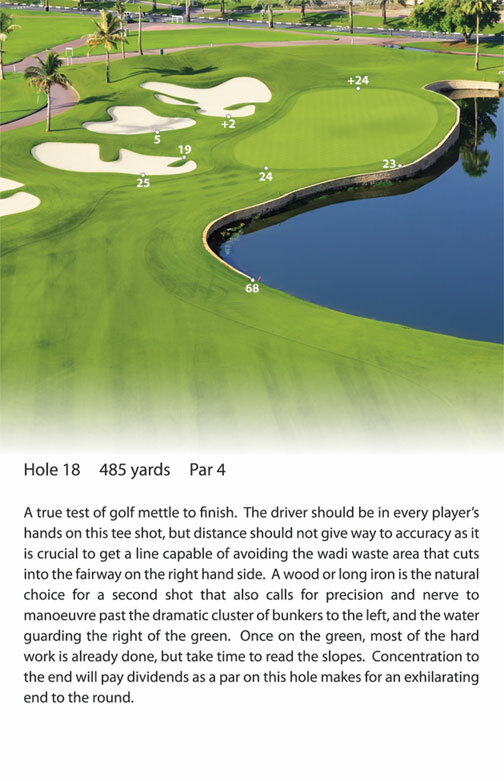 Horizon Photography – Golfer’s eye view that eliminates off-the-tee guesswork. Photo annotated with reference lines and distances to important hole features including directional guidance to fairway ‘safe areas’ and distance run- outs to hazard extremities. 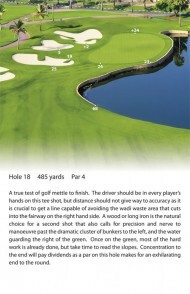 Exceptional course management aid.